Our cleaners were handpicked from many applicants. They were chosen for their strong abilities to work fast, but pay close attention to detail. When hiring, we looked closely at their work ethics and morals. We chose the best of the best to be on our cleaning team. When you hire our cleaning company to perform cleaning services, you can be assured our cleaners are friendly, respectable, honest, hardworking, and as our name implies, fast. Our professional cleaners also know that safety is a priority. Even though they are working fast they are aware of both your safety and theirs. Our expert team also takes utmost care with personal and business items that are fragile and could break. We know that satisfying you, our clients is what the job is completely about. A satisfied customer means a satisfied company which ultimately means a satisfied cleaner. Other cleaning companies will tell you they give 110%. We live on a different percentage here at our cleaning company. Our cleaners give 1000% to speed, 1000% to efficiency, and 100,000% to leaving our customers with smiles of satisfaction. Our cleaners are the cleaning superheroes of London and the surrounding areas. 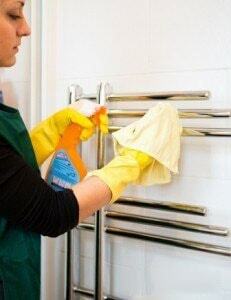 We present outstanding cleaning services at affordable cleaning prices. Contact us today on 020 3095 8299 and put are superheroes to work cleaning your business, residence, carpet, or windows. We will clean on your schedule, not ours. Get your items cleaned the Cleaners way!